We trust our doctors and health care providers implicitly. In turning to them for our medical care, we expect compassion, attention to detail and competence. Above all, we trust they will follow the medical maxim to “first, do no harm”. Unfortunately, our healthcare providers and administrators fail to follow this maxim all too frequently. In the medical literature, unintended injuries or complications resulting from medical care are termed “adverse events,” when they result in death, disability or prolonged hospital stays. According to an article in the British Columbia Medical Journal, in 2000, there were between 52,000 and 85,000 preventable adverse events in Canadian Hospitals, with approximately 20% of those cases resulting in death or disability. This works out to an adverse incidence rate of 7.5% per hundred admissions, or 15 adverse incidents per 200 hospital admissions. Of those 15 adverse incidents, approximately 5.5 were preventable. In law, those outcomes are called professional negligence or medical malpractice. 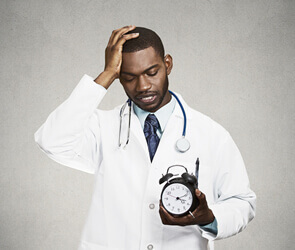 How Do You Know if You Might Have a Medical Malpractice Case? The injury is likely to be permanent. It is something that will affect your quality of life for the foreseeable future in a substantial way, and in most cases, you ability to work or earn income. Judging from the insurance premiums ($72,456 in premiums in 2016) charged to doctors by the Canadian Medical Protective Association (CMPA), a centralized, 80% taxpayer subsidized malpractice defence fund, Obstetrics is the highest risk branch of medicine, and is responsible for one third of all damages paid by the CMPA. Due to the licensing regime in place in Ontario, a small number of rogue Physicians are allowed to continue to practice, despite dozens of complaints against each by patients to the College of Physicians and Surgeons, including, in extreme cases, allegations of sexual assault. Much like the complication rates of individual surgeons, the College does not release this information to the public. Why is it hard to find a medical malpractice lawyer in Ontario? In Ontario, medical malpractice claims are vigorously defended by experienced counsel, through the CMPA. The prosecution of cases generally requires hundreds of hours of lawyer time, along with an out of pocket expense well into the tens of thousands of dollars, meaning that all but a small minority of the most serious cases cannot be effectively prosecuted (as the expected compensation does not justify the investment of time and money, i.e. the prosecuting lawyers would go broke doing it). 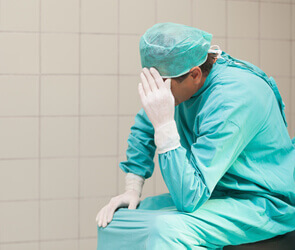 The most serious medical malpractice cases typically involve serious and permanent injuries, along with a substantial loss of income and ability to enter or remain in the workforce. If you or someone you care about has suffered serious permanent injury as a result of a health professional’s negligence, my firm can help. Call our Medical Malpractice lawyers at 1-647-495-8995 for your free and confidential medical malpractice case evaluation or fill out the form to the left side of the page. With law offices in both Toronto and Hamilton we’ll meet you where it’s convenient. There are no fees unless I win or settle your case. If you are a surviving family member of a loved wrong who died because of medical malpractice you may be interested in a Wrongful Death claim. Baker GR, Norton PG, Flintoft V, et al. The Canadian Adverse Events Study: The incidence of adverse events among hospital patients in Canada. CMAJ 2004;170:1678-1686. Baker GR, Norton PG. Adverse events and patient safety in Canadian health care. BCMJ, Vol. 48, No. 7, September 2006, pages 326-328. The high cost of OB/GYN mistakes in Ontario, Cribb, Robert et al., Nov. 28, 2015.